This facility is newly renovated with year round indoor pool and hot tub. Outdoor seasonal hot tub and pool open May to September. Our workout room has over $30,000 of equipment, one room dedicated to weight training and another for cardio. Racquetball court, Men’s and Ladies’ locker rooms and 3 dry saunas. 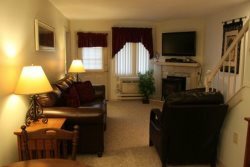 Full use of the facilities is included with your stay at the Nordic Inn. Outside memberships are also available.